Pillow Prize. That's what it is called when a roomy/hostess leaves you a little gift when you share a room. So, here is the little 'gift' I made for my roomys here at Leadership in Nashville, Tenn. Its a covered notepad. 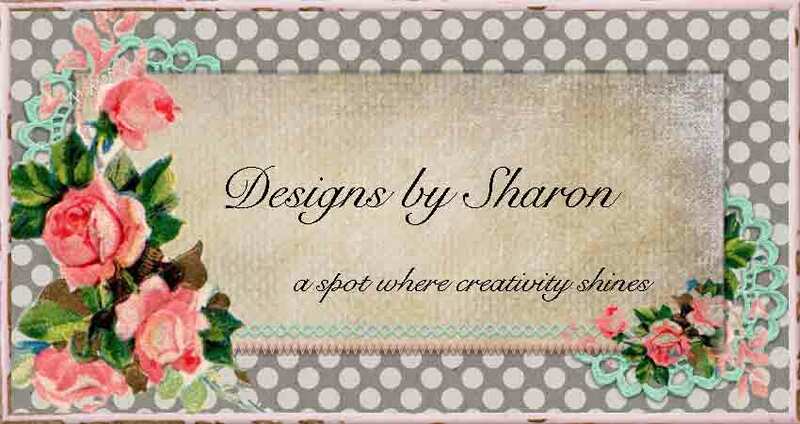 I wanted to show case some of the new products from Stampin' Up!, as well as show current products. 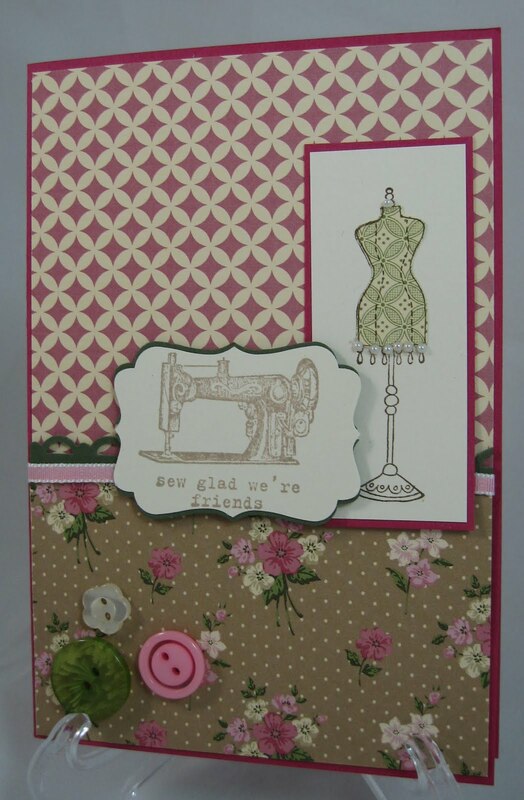 The body form is from a stamp set 'Chic Boutique' and the sewing machine is from 'Puns From the Past'. 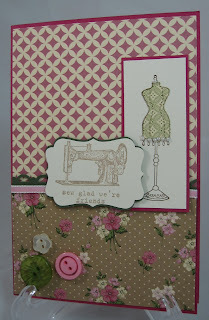 I added some of the new designer paper, and new ribbon, and of course - buttons! Thanks for looking! Its wonderful getting away and learning some new things! Stay tuned, so I can share with you what I have learned! 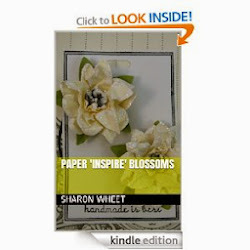 Very cute Sharon..thought it was a card til I read about it.. I love the little dress above it!! Are you going to make one like it? Or was it shown at convention.